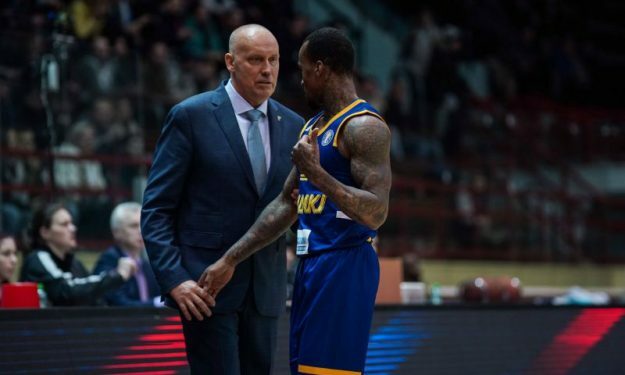 Khimki Moscow’s Tuesday (5/1) practice was interrupted and the gym had to be evacuated due to one of the several anonymous bomb threats received in Moscow and Moscow region. “The authorities came to our basketball center of the Moscow region and loudly announced that the gym had to be evacuated urgently. So the practice was interrupted,” Khimki Moscow GM Pavel Astakhov said to RIA Novosti. Per AFP, almost 100 buildings had to be evacuated in Moscow and Moscow region because of a series of fake bomb threats. In other Khimki news, guard Alexey Shved resumed practices following the recovery from a broken finger that kept him sidelined since November. The Russian guard should make his return to action in the VTB League match vs. Lokomotiv Kuban Monday (11/2).